There are many different types of rocks and minerals found in the world. Some are commonly found in a lot of places whereas others are specific to some regions. In addition to these, some are very valuable whereas others have lesser value. This basically depends on the quantity of these rocks or minerals that are available and whether they have a high demand or a low demand. A simple way to explain this would be to take the example of gold; its reserves are finite and it has a very high demand; hence it is quite expensive. When we talk about rocks, there are literally thousands of them and some are very similar to the others but not exactly the same. They may appear to be perfect copies but have differences at the atomic or molecular level. Two rocks that are quite similar are shale and slate. Many people confuse them as one but that is not true. As we will now shed light on their differences, it will become quite clear that they have many dissimilarities. Shale refers to a fine grained rock or a clastic sedimentary rock that is majorly composed of mud. This mud is actually a mixture of clay mineral flakes as well as tiny fragments or silt sized particles of other minerals that include calcite, quartz etc. The ratio, however, of clay to other minerals is very variable. A typical shale has many breaks along thin laminae or bedding or parallel layering which is about one centimetre in thickness. 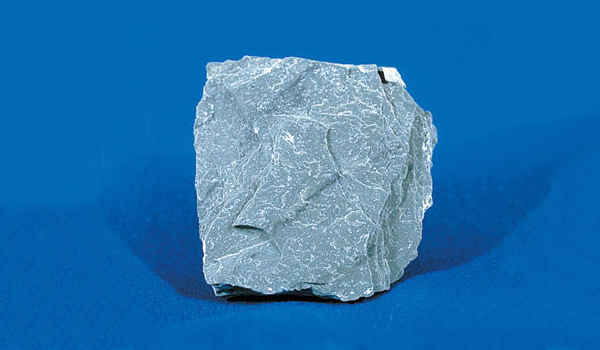 This characterization of shale is referred to as its fissility. Other mud stones similar to shale lack this feature. On the other hand, slate, which is also a fine grained rock, is foliated and homogenous metamorphic. It is derived from the original shale type rock that is composed of volcanic ash or clay through a process known as low grade regional metamorphism. This is the reason it is often confused with shale. Slates are the finest of the grained foliated metamorphic rock. The foliation is not always corresponding to the sedimentary layering but is usually in planes that are perpendicular to the direction of metamorphic compression. Apart from their slightly difference appearances, there are other features that are different in two. You can find these out by various tests or experiments whereby the different behaviour of the two will help you differentiate between them. For example if you use a hammer to tap each stone, slate gives you a slightly more metallic sound when it is hit. Shale however will give you a thumping sound. This is mainly due to its composition of mud. Shale can be broken easily and shows little resistance; crumbling into pieces. In contrast to this, slate requires slightly more pressure to be broken and gives you thin, flat pieces. The two can also be differentiated by their appearance in sunlight. Shale has quite a dull look whereas slate shines and looks silky in the sun. Moving on, when treated with water, shale will give you an odour like clay but slate will usually not have any noticeable odour. In some cases however, it may smell like clay but have a very weak odour. In addition to this, shale is softer than slate which is indeed quite hard and can even scratch glass. Shale, however, being composed mostly of mud, is quite soft. allana. "Difference between shale and slate." DifferenceBetween.net. October 28, 2014 < http://www.differencebetween.net/science/difference-between-shale-and-slate/ >. What about the mineralogical differences? And the difference in abrasion and other geotechnical parameters? I live in a area that slate was manufactured that supply United States at one time. I wonder if this slate could be used just like shale on your face to help with wrinkles?interesting thoughts.